Thanks to Melisa Kirkup (C'01) at Universal Marketing, for our DT October Contest, we will be raffling off a Forgetting Sarah Marshall gift package including a Forgetting Sarah Marshall DVD, beach bag, beach towel, cd and t-shirt! 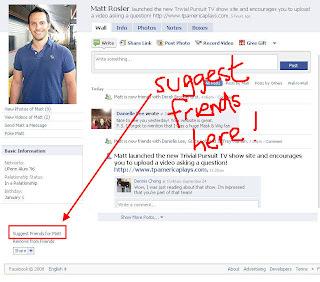 To enter, all you need to do is "SUGGEST A (Penn) FRIEND " to me using the link on facebook. Each suggestion will be considered one entry into the contest. Each "facebook suggestion" email I receive (Facebook sends me an email when you suggest a friend to me) will be considered one entry into the contest. 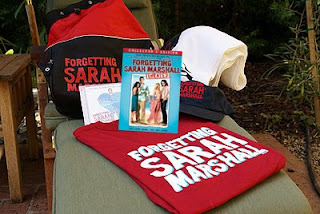 1 winner will be chosen at random from eligible applicants to receive (via mail) the Forgetting Sarah Marshall gift package including a Forgetting Sarah Marshall DVD, beach bag, beach towel, cd and t-shirt. To decide the winners of this competition, I will place each entry into a numbered list in the order the entrants' "suggest a friend" email from facebook was received. Using Research Randomizer, I will first select one random entry (according to their number) to determine who will win. I will contact the winner about his/her prize as soon as the draw is completed and will announce the winner on this blog soon after. Adding DT to your IPhone!